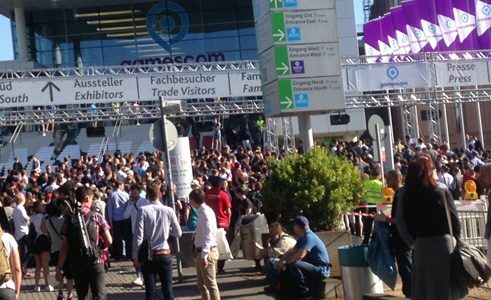 Impression Gamescom 2016: More than just a game show! It felt like being reborn into the world of gaming when I first set foot in Bonn Airport after a long 12-hour journey, nonstop from Bangkok to the city of Cologne. The sun was still shining bright even though it was already 8 PM in the evening - a natural phenomena I have never experienced in Indonesia - but still, the only thing I had in mind was to end the day and save the game. After getting off at the train station Koelnmesse, I was greeted by a long queue at the entrance of the main hall of Gamescon. A giant banner of Final Fantasy XV and other popular games adorned the walls of the building. Eventually I realized that Gamescon is one of the biggest annual gaming events in Europe, and I was convinced that the next 48 hours would be very entertaining! Initially I already saw myself - having a typical tiny Asian posture - squeezed in between the bigger and taller Europeans. But luck was on my side! As an IGJam2016 participant from Indonesia, me and a couple of other participants, had the privilege to use the VIP entrance, ensuring that everything was running smoothly and quickly. IGJam2016 is an event during which participants create a new game together over the course of 48 hours. It was initiated by Innogames, one of Germany’s biggest game developers. Thanks to the support of other renowned companies, IGJam2016 managed to invite around 200 participants from 27 countries. © Steven Aang Even though the game jam took place at a different venue, we still had the chance to visit Gamescom when we were taking a break. 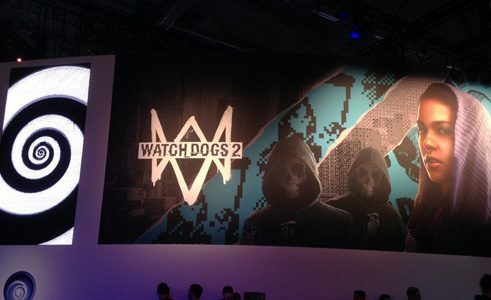 On the first day, it is only open to specific visitors such as journalists and exhibitors, while from the second day on, Gamescom is also open to the public. 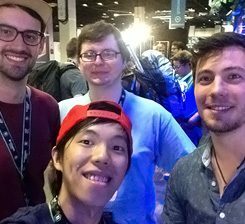 On the same day, I took the opportunity to take a short tour of the Gamescom exhibition together with three German participants whom I had met when we formed the teams for the gamejam. 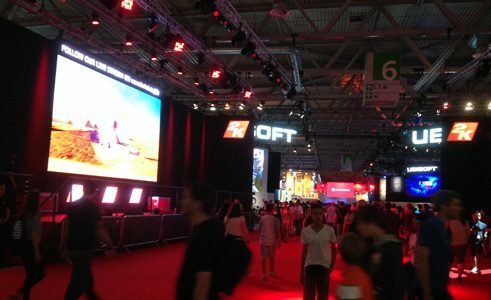 We first visited a couple of halls that were occupied by large booths representing AAA companies like Playstation, Blizzard, Ubisoft and more. As a former game freak, I didn’t have the power to resist the urge to try some of the games, yet it was impossible to do so. The next day, the halls were even more crowded. People sporting cosplay costumes were everywhere, the queues for playing games seemed never-ending, and of course there was the giving away of free merchandise which I unfortunately couldn’t get a hold of. On the other hand, there were also halls specifically designated as business area, strictly guarded and only open to visitors with a special pass. 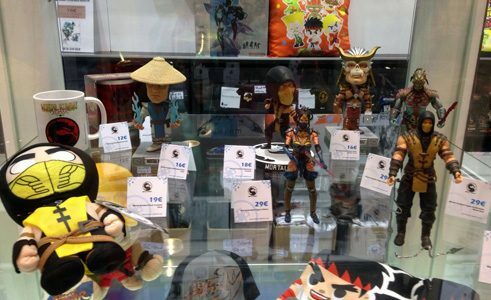 Merchandise hunters got their money’s worth at a hall that was dedicated entirely to merchandise stores, among others Zelda, Pokemon, Mario, Final Fantasy, Dota, League of Legends and many more. This hall resembled the district of Akihabara in Japan, perched into one single large room. Equally important for this international event was the Indie Booth Area where some indie game studios had the chance to present their work. 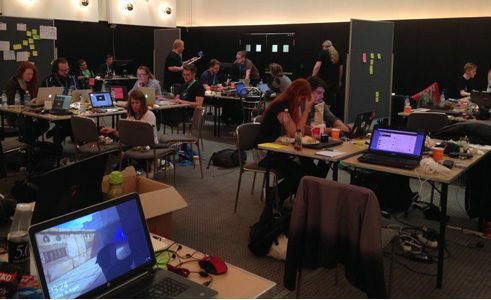 IGjam2016 was the second game jam I attended, after participating in the Game Mixer game jam that took place last year. There are even game jams that always follow the same topic. At the IGJam2016, the topic this year was “Masks”. At first, the participants got to know each other better through games like forming a “human chain”, starting with a participant from Cologne until the participant from the furthest country. This was followed by building working teams as determined by the organizer and based on the participants’ interest in the following categories: Single Player, Multiplayer, Mobile and Experimental/VR. On this occasion, our team that consisted of three participants, created a game concept with the theme of faking alias “masking” expressions. Based on an idea deriving from our daily experiences, we began to draft a concept study to determine the “gameplay”. At the same time, we added examples of concrete applications in everyday occurrences such as a the behavior of children towards their parents, employees towards their superiors or a man towards his partner, experimenting to create a game that allows the faking of expressions. The ideas we gained through our experiments were then incorporated into different elements of the game, starting from the game rules and the controller to the images we needed, as well as music and voice effects and many other things until the game would be ready to be played. The experiments even resulted in a game prototype called “Nice to meet ya” that can be played on the IGJam page. The other groups also produced quite a few results, full of innovation and quality. Some even completed their experiment results with VR and a controller, whereas others used electronic tools to create their own game/ controller. The best prototypes in each category - Single Player, Multiplayer, Mobile and Experimental/VR - received a prestigious award. IGjam In addition to meeting the German Game Mixer participants from last year again, IGJam2016 was of course the perfect opportunity to extend the network between game developers from different countries. 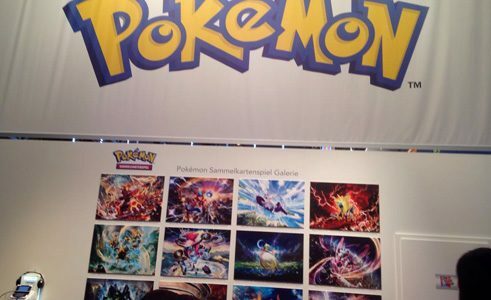 Besides that, there were other valuable lessons I learned; for instance, Gamescon actually targets the European market but still manages to get worldwide attention. Another thing I realized is that the appreciation for games is very high, and support and help is implemented in many different forms. 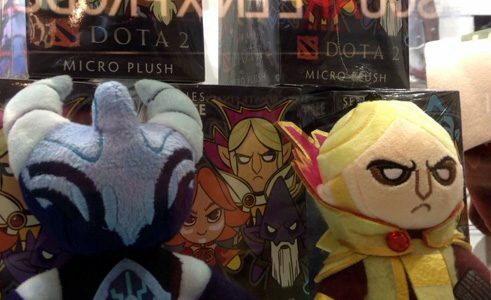 Hopefully, the world of gaming and the number of game developers in Indonesia will continue to grow, and support for the gaming world as well as game developers will increase. Game developer from Medan, one of four participants representing Indonesia at the international event Gamescon, IGJam206, Cologne, Germany, supported by Goethe-Institut Indonesien and Intel.